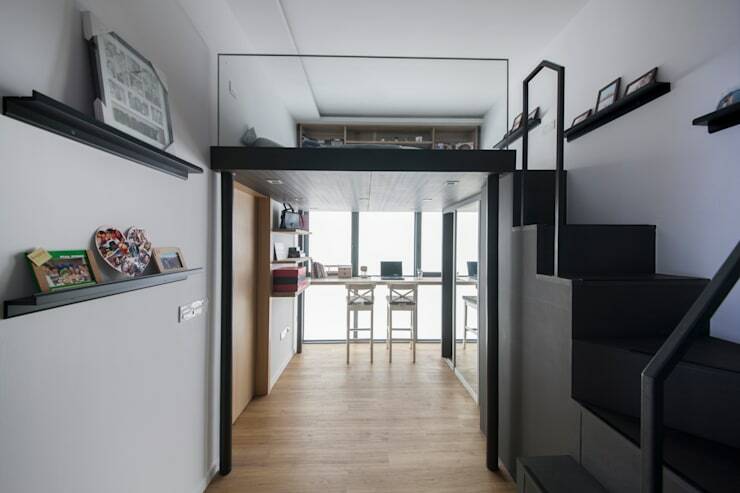 Sometimes the possibility for a home with two levels is very appealing and even necessary, but the height of the building in question doesn’t necessarily allow for this, making it necessary to create new areas. This is why the architects of today often rely on the very famous mezzanine. These areas are small spaces that grow between the ground floor of your home and the first floor, and are fully equipped with the necessary features to grant you a totally new and unique place, whilst adding a modern aspect to your home’s style. If, when building your home, you cannot expand it sideways, then it is better to look at a little more height. You can create a small, comfortable sub-level above your kitchen and bathroom to shape your bedroom. In this picture you can see a small wall, about 1 meter tall, dividing the spaces and giving a touch of privacy to its owner. Many of us like to work from the comfort of our room, but sometimes we cannot equip it as we want to divide the work area from the rest. This is why the structure of a mezzanine will allow you to keep both totally divided, yet at once integrated. In this photo we can see a structure built of black iron in the room, high enough to move comfortably underneath, and an appropriate level to rise and lie down quietly on top. In addition to using this as your bedroom, you can also use it to be more open and social as in your living places. In this picture you can see how the designers applied this idea on the living room to create a small working area large enough to involve several people within it, a perfect idea created by the professionals, Pladis. 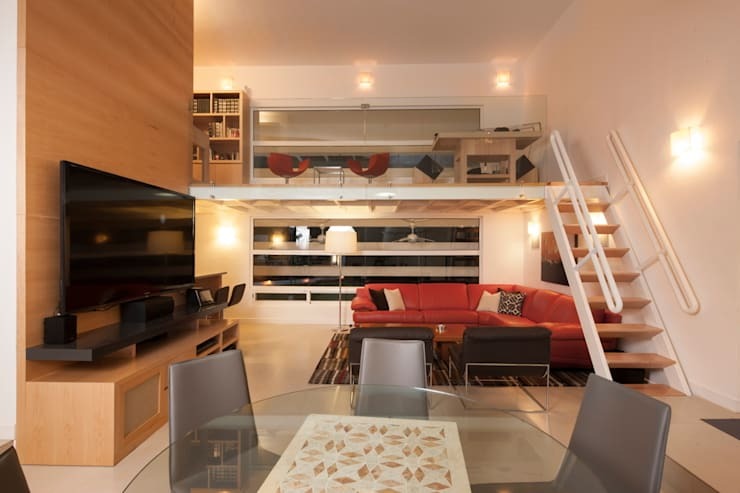 If we seek to adapt our home to a much more modern style, we can add a mezzanine which builds on other rooms. 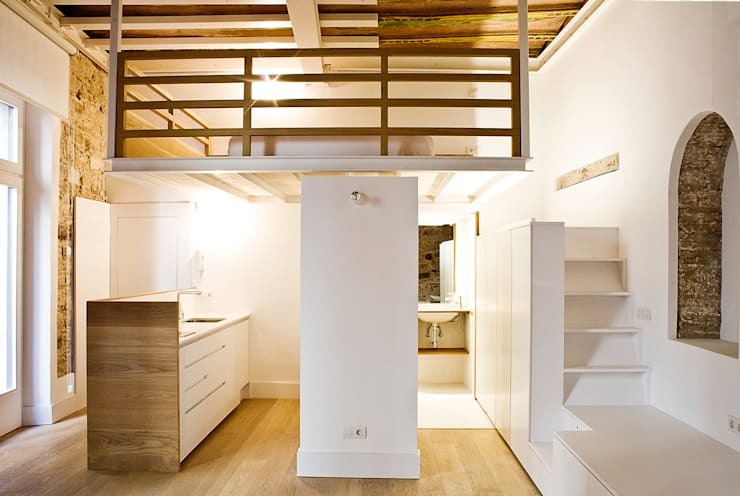 In this case, the kitchen is elegantly defined with a mezzanine at the top, where you can rest peacefully. Now that we’ve mentioned the kitchen, take a minute to check out these: 10 affordable, rustic kitchen ideas to copy! 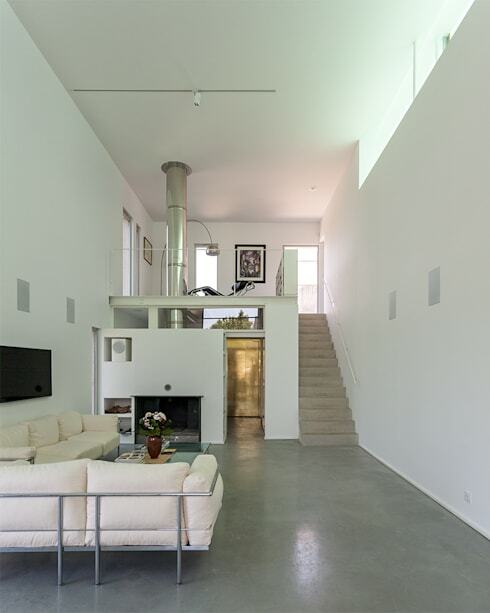 Mezzanines are perfect for creating that space you are missing, but which the size of your home has not allowed you. No matter how small the space is you have to build in, if you have sufficient height, you can give your home a very functional place which is original regardless of what type of room is desired. 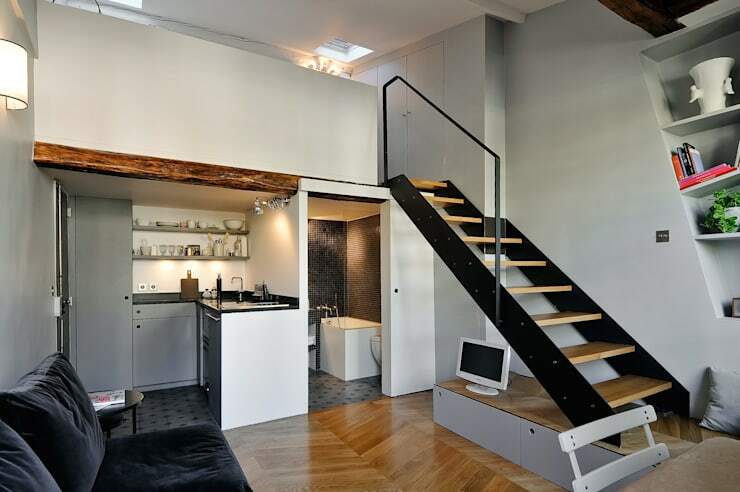 Which of these mezzanines did you like the most?